Shhh! He's royalty. Don't tell him he looks like poop. So, I'm back on a very strict eating regimen that has been modified to now exclude oregano, thyme, sage, spinach, and broccoli. If I could, I would be in a bean bag chair of depressing-ness right now, with my face in a giant bowl of kale. But I have way too much stuff to do. Anyway, one thing I can eat is any number of nut butters, so as you can imagine, I am writing this from my gold plated writing chamber, licking freshly ground peanut butter from a diamond encrusted nut butter wand. Do you want to hear a story about nut butter? Okay. You don't have to twist my arm. Far, far away and long, long ago there was an entire kingdom ruled by a very benevolent, handsome, and extremely heart-healthy king. He was simply filled with antioxidants, and that was because the king was an oozing pile of delicious almond butter. Now, you might be asking yourself right now, "How does an oozing pile of anything rule a whole kingdom?" Well, need I remind you of King Henry VIII? He ruled just fine, thankyouverymuch. Also, King Nut Butter had a scepter, and as you know, all you need is a scepter to rule a large group of individuals. A scepter and a lot of pizzazz. 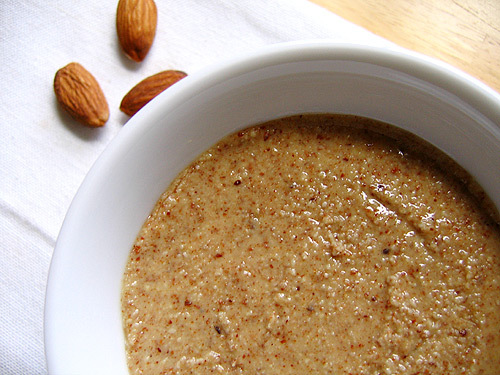 Unfortunately, in the 30th year of King Nut Butter's rule, a thing happened. And that thing was totally stupid. And the thing involved fashion. "Oh my god, Helen," said a pile of cashew butter who worked in the Nut Butter Kingdom's nail salon. "Liiiiiike, do you think I could get away with owning a scepter?" "TIFFANY, YES," replied Helen, a pile of peanut butter. "You SO have a scepter face and body. I am just totally jealous that I did not think of getting a scepter first." It was then that the two trendiest nut butters in the kingdom totally went scepter shopping. And it was because of that shopping trip that everything changed. Helen and Tiffany oozed all around town with their new scepters to show them off. Now, right now you might be asking, "Why does a kingdom made up of nut butters need a kingdom nail salon?" And to that I say, "Shhhhhh....shhhhhhh.....just breathe in the chloroform scented perfume on this rag." Slowly, the other people in the kingdom began to take notice. A local fashion editor, a guy who was unemployed but had a lot of ideas, the kingdom gynecologist. They started to buy scepters too. Soon, EVERYONE in the kingdom had a scepter. And if you'll remember, the only thing you need to rule a kingdom is a scepter and a lot of pizzazz. "Hey! I just realized I have a scepter and a ton of pizzazz!" said a big, oozing pile of Brazil nut butter, the grossest kind. "Me too!" said a gigantic plop of honey roasted peanut butter. "I'm the king now!" said the Brazil nut butter. "So am I!" said the peanut butter. Suddenly, everyone in the nut butter kingdom had a claim to the throne, and they all started to exhibit kingly behavior. "No, Ferguson!" said some Nutella named Fritz. "I'll have my cake at 6, not 5:55. And once you've served that, I'll need someone to bathe me." "I can't!" replied Ferguson, waving around a ruby-encrusted scepter. "I recently acquired pizzazz from the local pizzazz dealer, so I'm king now. You'll have to bathe yourself." Slowly, all the nut butters stopped doing their regular jobs and started being kings. And this was all quite confusing for the actual king, who suddenly had no one to clean up his almond buttery ooze trails or listen to him complain about the heat in the sauna wing of the castle or the coldness of the castle's refrigerator wing. It made him very grumpy. "What am I going to do?" inquired the nut butter king to nobody. Gazing out of the castle window, he could see nut butter all over town ordering other nut butters to build them castles. And because everyone was a king and nobody was a builder, not a single thing was getting done. So, the king thought and thought and thought. His royal figure-outer was gone, so it was all he could do. And then he remembered that he had something that was better than a scepter. And better than a lot of pizzazz. The nut butter king remembered that he had the power to execute anyone and everyone who defied him. And because the nut butter executioner also thought he was a king, and the king himself didn't feel like doing any executions, he made a few phone calls instead. That's correct. I saved the day by eating all the nut butter. It was awesome. I'm too busy eating this peanut butter to tie up the loose ends. You do it.